Chick-fil-A is seeing more business from former Chipotle customers, as are Sweetgreen and Domino's. 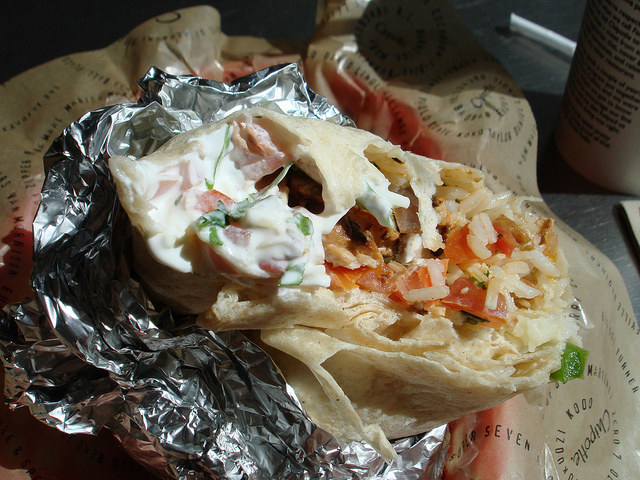 Chipotle has struggled over the last two years to recover from a series of food safety scares. Despite attempts to win customers back with free food, loyalty programs, a big ad campaign, and new menu items like chorizo and queso, many haven't returned. The average store is making about 23% less than it was in 2015. So where did diners go? New data provided to BuzzFeed News by data analytics company Earnest Research shows that customers who stopped eating at Chipotle increasingly dined at Chick-fil-A. They also turned to delivery companies such as Grubhub/Seamless, Postmates, and DoorDash. About 30% of people who ate at Chipotle in 2015 did not return in 2017, according to Earnest. The company analyzed anonymized credit card data of more than 567,000 people who ate at Chipotle in 2015 to evaluate how their habits changed by 2017. Among the 166,630 customers in that group who stopped eating at Chipotle entirely, they went to Chick-fil-A 5.5% more in 2017 than in 2015. These people also increased their visits to salad chain Sweetgreen, Domino's, chicken fingers restaurant Raising Cane's, and fast-casual pizza chain Mod Pizza. Andrew Robson, president of Earnest Research, said, "While our data showed that Chick-fil-A was the clear winner for churned Chipotle customers, it was also a winner for current Chipotle customers. Current​ Chipotle customers increased their total visits to Chick-fil-A by 22.4%." @SimpnMild @HamptonBlu I stopped going to Chipotle because they skimp on the meat, employees r rude, all portions should b equal. Chipotle and Chick-fil-A are nearly the same size now in terms of store count — the burrito chain has more than 2,300 locations, while the chicken sandwich company now has about 2,200 — but Chick-fil-A has long surpassed Chipotle in terms of sales. Anyone who has experienced Chick-fil-A's wild lines probably won't be surprised by this. (Police are sometimes called to help direct traffic when a new store opens.) The average Chick-fil-A store made $4.4 million in 2016, compared with the $1.8 million a Chipotle location earned, according to data from QSR magazine. (Before the food safety incidents, Chipotle restaurants were making about $2.5 million per year.) The magazine ranks Chick-fil-A as the country's eighth-largest restaurant by sales, and Chipotle the 14th. Chick-fil-A told BuzzFeed News its sales in 2017 jumped to $9 billion, up from $8 billion in 2016. Chipotle's 2016 revenue was $3.9 billion. A Chick-fil-A spokesperson declined to comment on any competition with the burrito chain. A Chipotle spokesman also declined to comment on Earnest's findings. 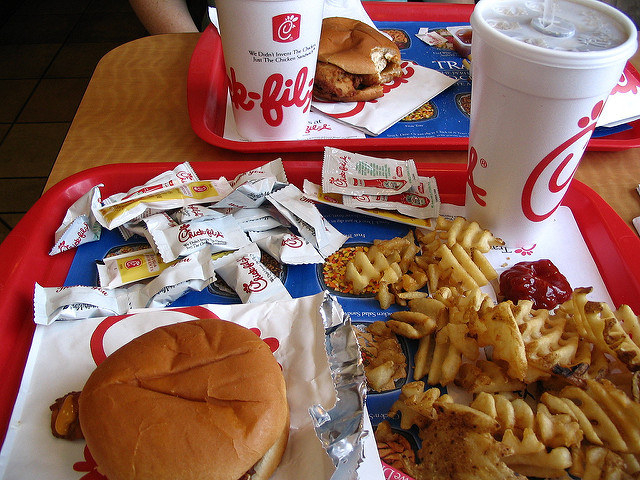 @CareyTorg Chick-fil-A is better at chicken than Chipotle is at Mexican. I find their food awfully bland and dried out. The burrito chain is searching for a new CEO to replace its founder and chief executive Steve Ells, who announced in November that he would be stepping down. Ells called it "the right thing to do for all our stakeholders." The classically trained chef made it his mission to serve fast food made with high-end ingredients and techniques. Chipotle expects to open as many as 150 stores in 2018, and Chick-fil-A said it will continue adding about 100 restaurants annually.